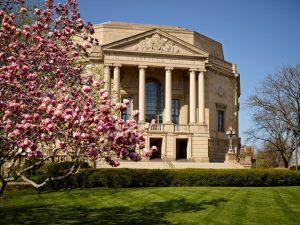 The Cleveland Orchestra has been for decades a point of pride in its hometown. It is universally admired for its world-class credentials, its gifted musicians, and its acoustically perfect and visually stunning concert hall. The orchestra welcomes people of all ages, all walks of life, and invites them to experience something that is unique in the world. The Stewardship Coordinator assists in the planning and execution of cultivation and stewardship activities, including donor recognition and individual and institutional donor benefits administration. This position is a key member of the Stewardship team and ensures that donors are appreciated, informed and engaged while helping to build a culture of philanthropy. Additionally, this role will work across teams and departments to gather and share information leading to a holistic approach to stewardship of donors at all giving levels. We offer a competitive salary and excellent benefit package, including a 403(b) plan with employer match, along with the opportunity to work with a world-renowned Orchestra. Interested applicants should submit a cover letter, résumé, and salary requirement to hr@clevelandorchestra.com.